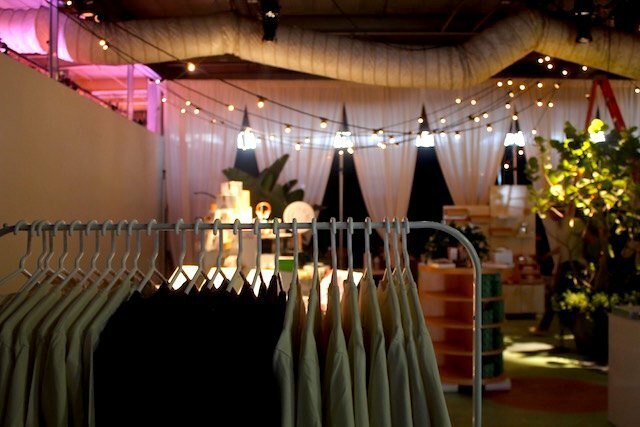 Make your way over to Ingraham Street any day this weekend for Refinery29's interactive NYFW event free and open to everyone. 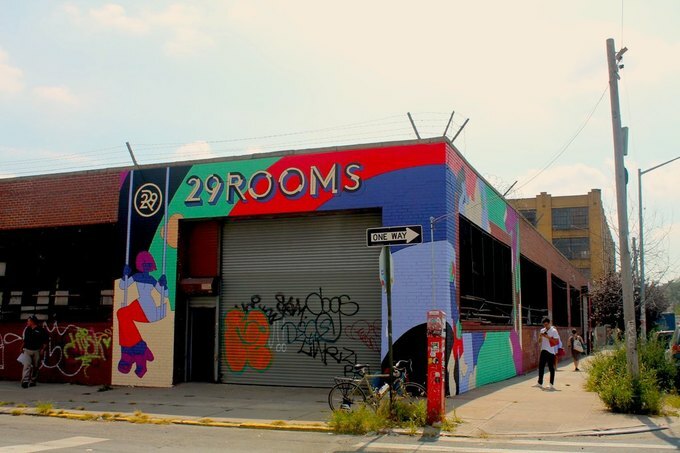 29Rooms, Refinery29’s interactive art installation in collaboration and partnership with over 20 different artists and brands, opens today in East Williamsburg. 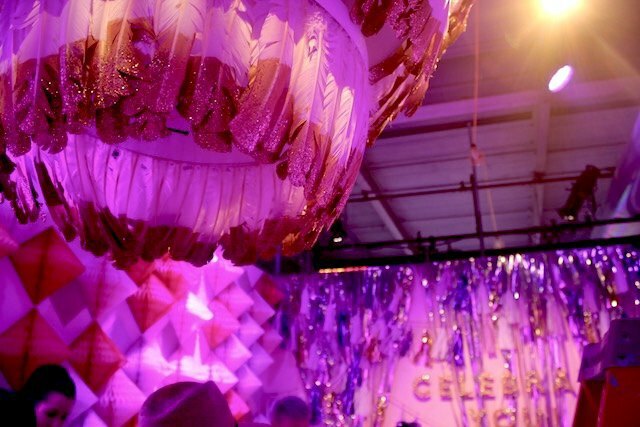 Yesterday, Bushwick Daily got a sneak preview and below is just a small fraction of what to expect over at 8 Ingraham Street all weekend long. 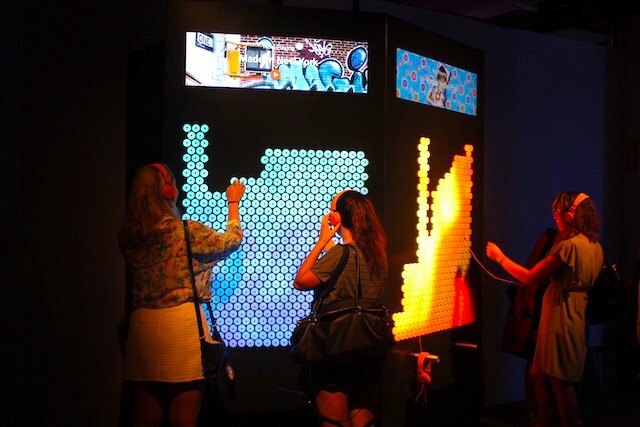 These 29 interactive rooms are filled with music, color, dancing, smells, lights; you name it. 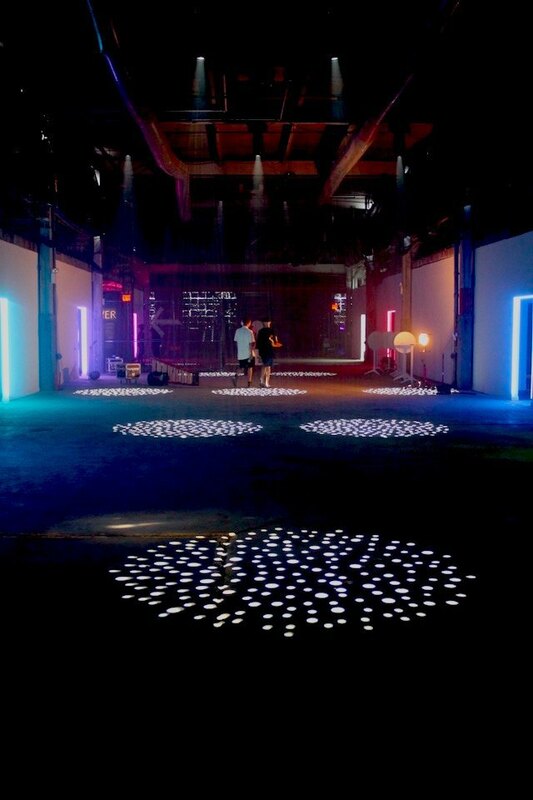 Go experience for yourself today through Sunday every day from 12 p.m. to 8 p.m.
29Rooms exterior at 8 Ingraham Street. A view down the hallway of 29Rooms. See You room in collaboration with Daniel Rozin. 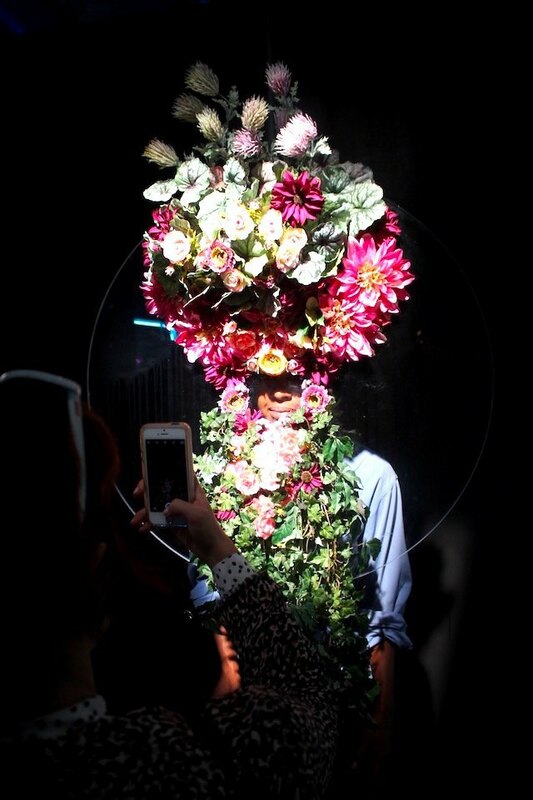 Wall Installations respond to viewers movements..
WIG OUT in collaboration with RuPaul. 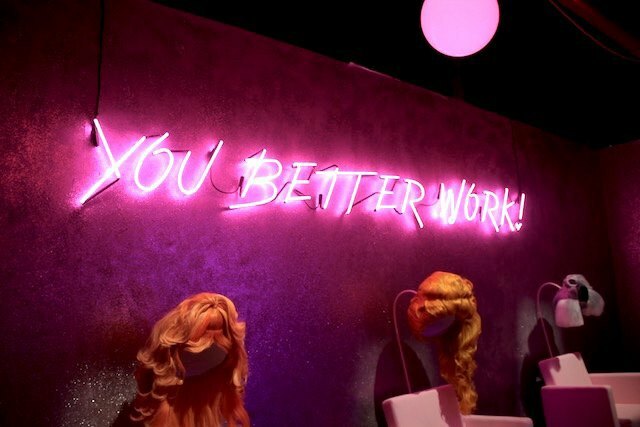 A whimsical hair salon in which guests can transform themselves with a selection of wigs curated by RuPaul. Just Dance in collaboration with Tinashe and PHHHOTO. 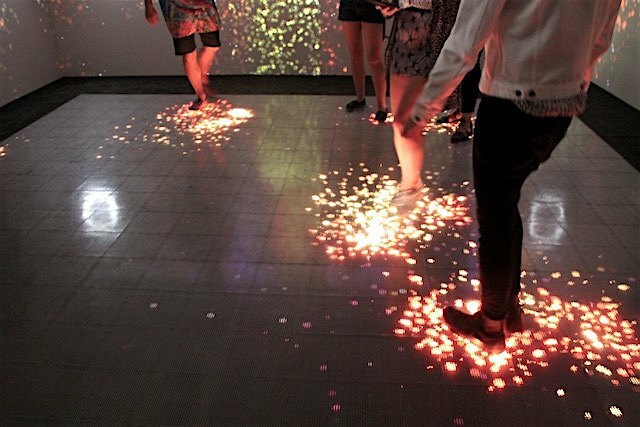 The LED floor and walls light up as guests dance to a silent disco. 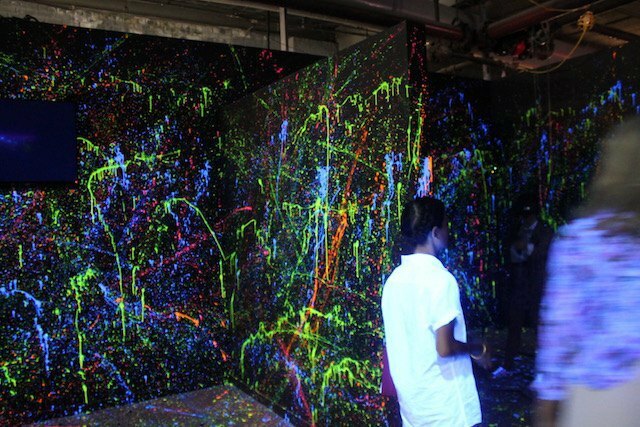 State of the Art room in collaboration with Tilt Brush by Google: New technology drives this room wherein gusts paint using VR headsets. You-Niverse in collaboration with Radiant Human. 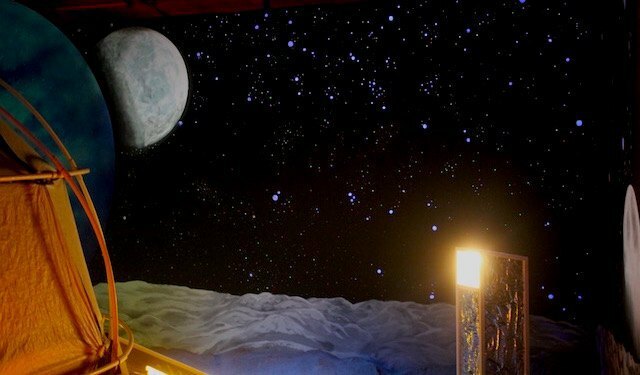 This new age journey through self discovery in the middle of which guests can take an "aura photo" which can be interpreted in the subsequent "color stations." The Art of Beauty in collaboration with Ryan Burke. Turn your face into a masterpiece by standing behind the artistic creations of renowned makeup artist Ryan Burke. 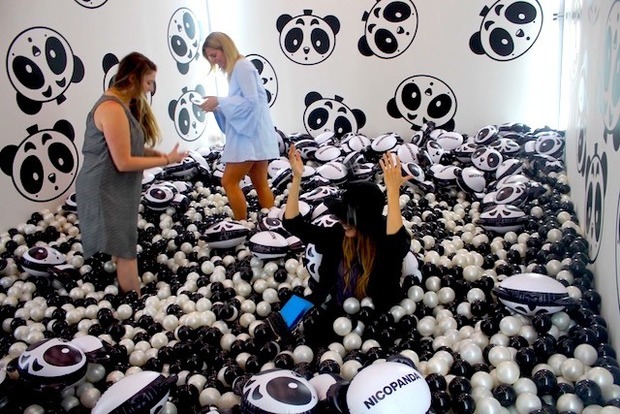 Panda-monium in collaboration with Nicola Formichetti is a panda ball pit set under a classic arcade style claw. Guests playing in the Panda-monium room. Pop on a pair of headphones and pick an outlet. Each one plays a different tune. 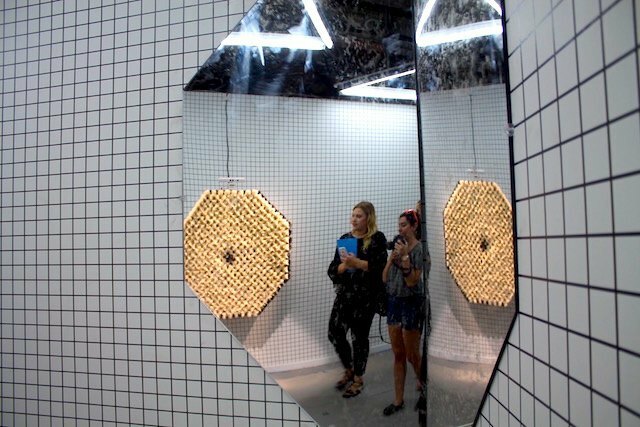 EVERYBODY is an installation with the goal of inspiring body positivity in all. 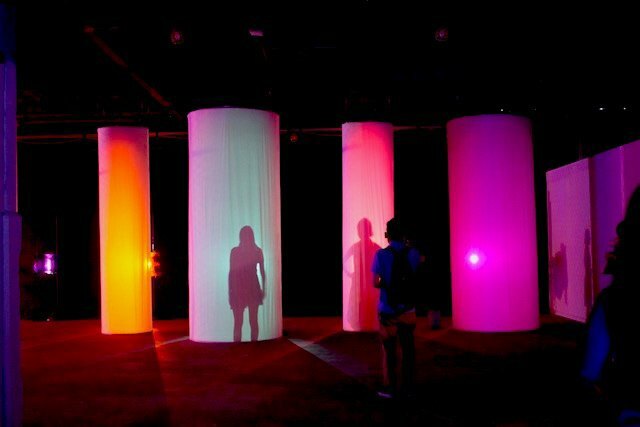 Step inside illuminated cylinders to show a sensual silhouette. 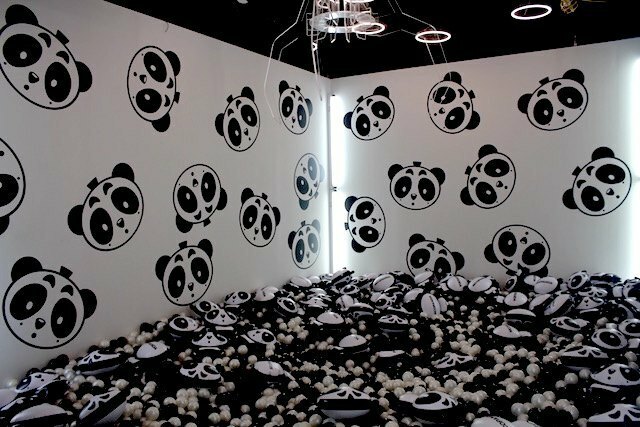 Art Hoe Studio in collaboration with Art Hoe Collective. 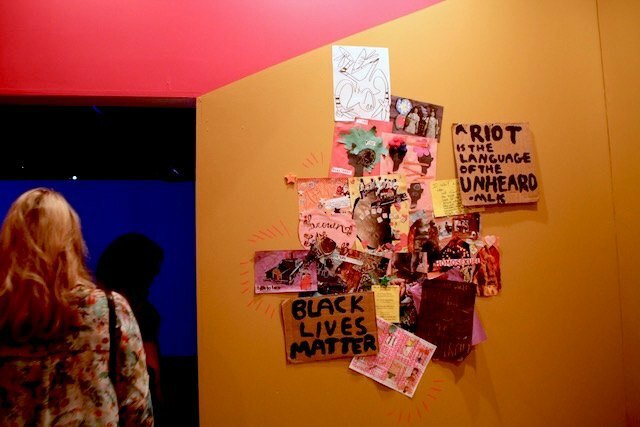 Visitors here are inspired to create their own art and celebrate beauty in diversity. Gurlstalk in collaboration with Adwoa Aboah. 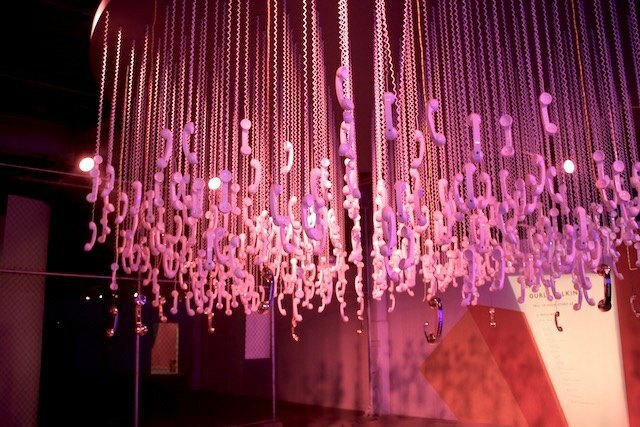 Pull down one of the 500 telephones to listen to personal stories about overcoming obstacles from notable women. 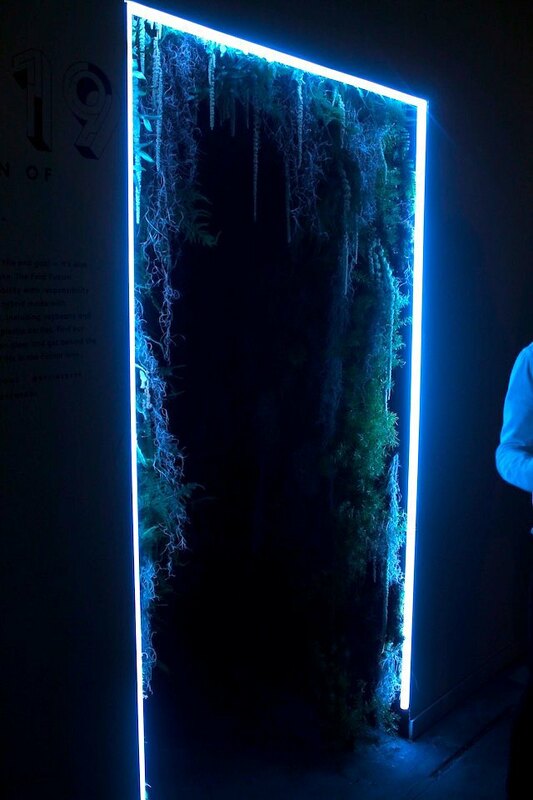 Entrance of Garden of Energi in partnership with Ford. This garden of lights and flora celebrates the future crossroads of technology and nature. 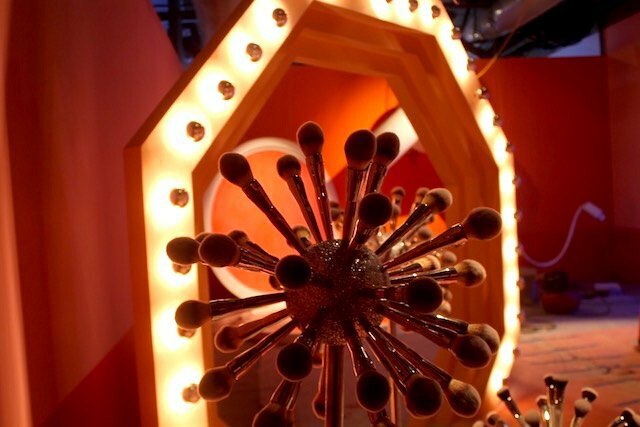 Makeup brush bomb in the Beauty Wonderland room in partnership with Ulta Beauty. Turn the Tide in collaboration with The Lonely Whale Foundation and Adrian Grenier. 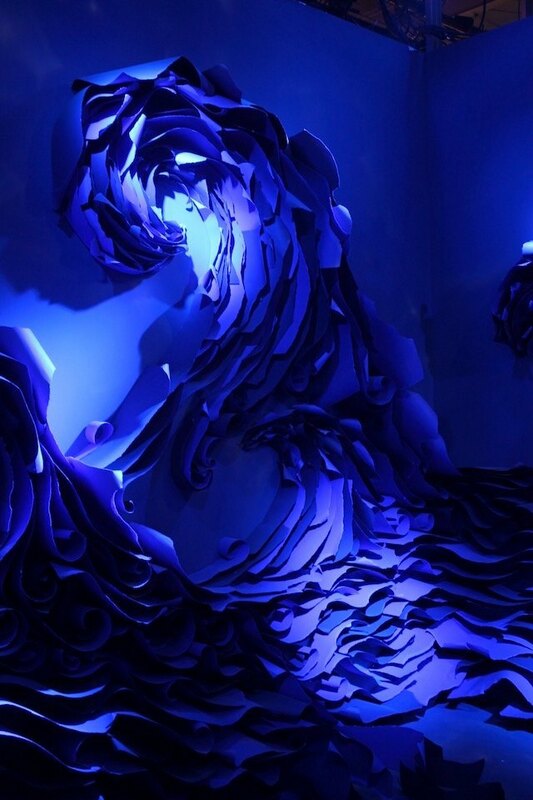 This ocean room is meant to bring awareness to the importance of preserving our fragile marine ecosystem. Find Your Furocious in collaboration with Charlotte Simone. 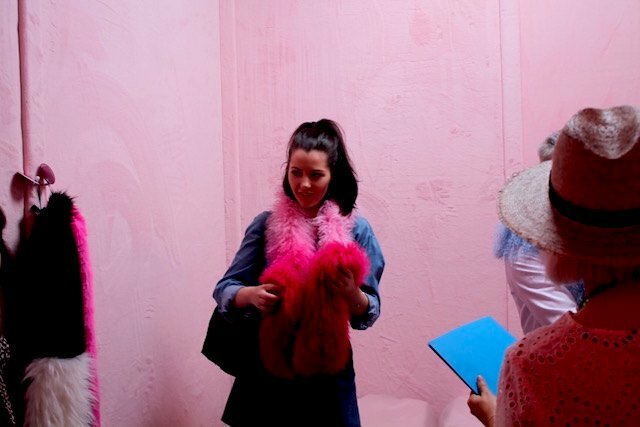 Plush walls and faux fur scarves highlight the fact that you don't have to be cruel to be fierce. Show your Pride in collaboration with Kate Moross. 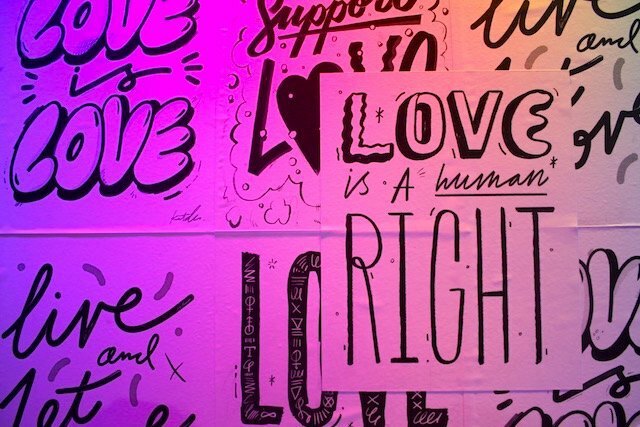 This room in celebration of LGBTQA love lets guests post their own pride posters reiterating the message Love is Love. Celebrate You in partnership with Papyrus. Play with glitter and cards to spread love and random acts of kindness. This is Your Q in partnership with Fossil. 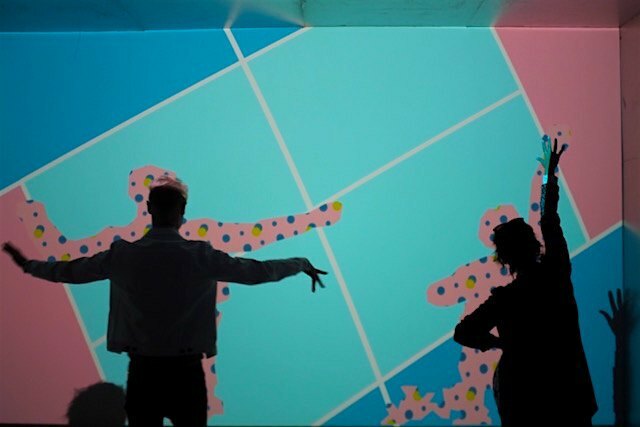 The interactive mural on the wall responds to viewers movements.